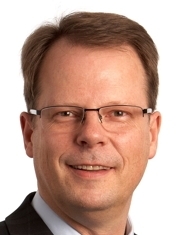 Mertens, senior vice president for r&d at Volvo Car Corp., previously held senior positions at General Motors and Audi's German rival Mercedes-Benz. BERLIN -- Audi appointed the r&d chief at Volvo as its new head of technical development, filling a key post as the Volkswagen Group brand grapples with the fallout from diesel emissions violations. Peter Mertens, senior vice president for r&d at Volvo Car Corp., who previously held senior positions at General Motors and Audi's German rival Mercedes-Benz, will assume the post as soon as possible, a spokesman for Audi said on Thursday, without being more specific. Mertens will replace Audi's former r&d chief, Stefan Knirsch, who left the premium brand in September. A source familiar with the matter has told Reuters Knirsch's departure was related to Volkswagen's investigation into the company's violations of emissions tests and rules, without giving details. Audi and VW have declined to comment. Reuters has not been able to contact Knirsch for comment. Audi, VW's biggest profit engine, has come under increasing scrutiny for its role in the scandal after VW said earlier this month that Audi cars with automatic transmissions had technology capable of distorting emissions when tested. With Mertens, Audi is seeking stability after losing four heads of r&d in as many years at a time of intense competition with Mercedes-Benz and BMW to develop new technology. "That (Mertens's appointment) is a good decision," Audi labor boss Peter Mosch said on Twitter. "It's important to further push digitalization and electric mobility."